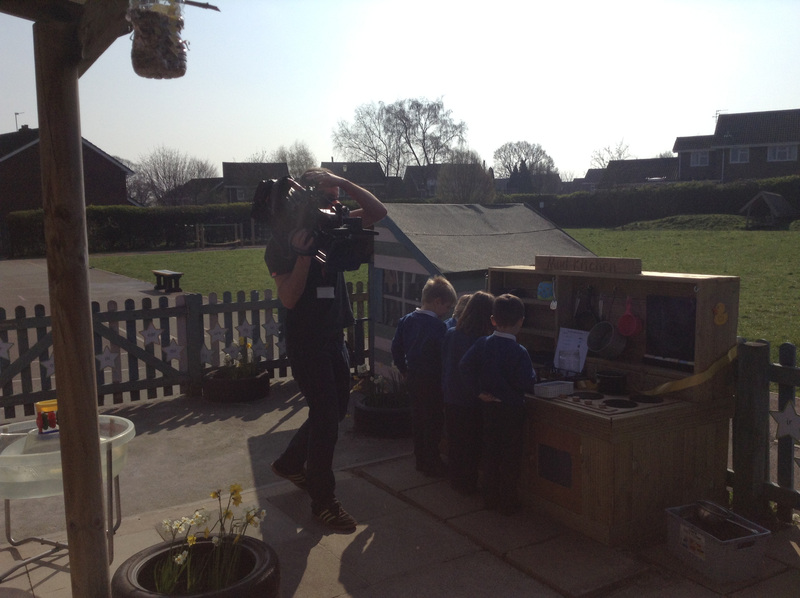 Last Friday, we were delighted to welcome Caron and Jamie from ITV West Country News to St George’s. Following the fantastic article in The Wiltshire Times that detailed the fast progress our school has been making, ITV wanted to visit us and take a look at the improvements for themselves. During the visit, Caron and Jamie spent time in our Ducklings class, observing a phonics lesson and the grand opening of our new mud kitchen. They then called in on our Kingfisher class and stayed for a maths lesson on sequences and algebraic expressions. The lesson gave them an insight into the challenges our staff overcome when teaching maths to a class containing children from more than one year group. ITV were keen to speak to some of our staff and pupils about the progress made at St George’s in recent times, the changes that have occurred, and how the learning experience has been improved for the children. A number of our excited year 6s were interviewed, as well as Mrs Lane, Mrs Cann, and Mrs Hunt. After spending the morning at the school, and capturing some footage of the children enjoying our brand-new outdoor equipment, the ITV crew left, but not before Jamie complimented the school, saying that St George’s was “special” and that we should be very proud of it. We assure you, Jamie, that we are indeed extremely proud of our school!